And how you can build on them. Remember the 7 Weaknesses of Local Shops? They were crazy popular because they touched a nerve. I acknowledged that some of our local businesses really need to step up to earn business today. This series is the flip side of that idea. 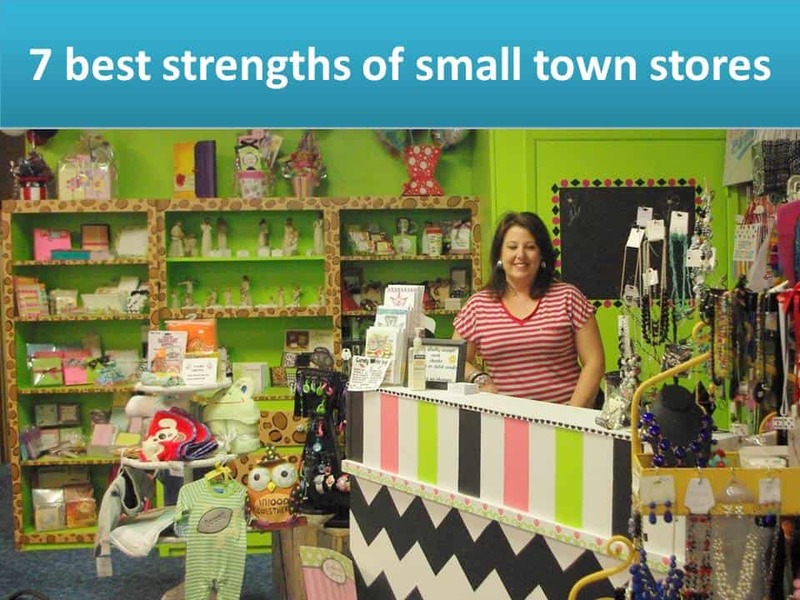 Small town stores have strengths, too. Our best local shops know a lot about customer service and community, and every business would be wise to learn from our strengths. Maybe this was a secret, but small town businesses have the luxury of presuming people are basically good. That means we can treat customers like real people. We can loan you one of our specialty tools and be confident you’ll bring it back. We can offer advice and information, knowing you’ll try to reward us with business. We can promote your business, even if there is no apparent connection between our businesses. What makes this work is our small town community. We know you. We know your family. You’ll be back, and you’ll have to live in town with us. Very few people in small towns are willing to actively hurt a local business just to save a buck, then face the owner in line at the cafe the next day. People are basically good. That’s what we think. And that’s how we treat you. Hi, Can you please post one that has a link to all of these on it. As it is now, seems like I would have to share 7 different URLs. Maybe you can add a link to each of the previous 6 on the 7th one? Thank you! Hi, April. Thanks for the reminder! I’ve added links to all 7 on each post now.